This is an article taken from the IRS by their own collection team. It seems they are busy at work and crunching numbers to further their collection efforts. IRS Collections is hard at work. With the onset of 2015, I made a New Year’s resolution to restart my blog and provide periodic insights and observations on U.S. tax administration. The New Year also coincides with the issuance of my Annual Report to Congress. Selecting 20 of the most serious problems of taxpayers for this report is always a challenge, because there are so many things to write about. Each year I establish a theme for the report, which provides a framework for selecting the problems but can exclude many important issues. The blog can help bring some focus on these issues and the work that the Taxpayer Advocate Service (TAS) and others are undertaking in those areas. My collection advisors and I spend a lot of time dealing with collection issues and analyzing collection data. It is fitting, then, that my first blog of the New Year takes a closer look at the IRS’s collection performance. The Internal Revenue Service Restructuring and Reform Act of 1998 (RRA 98) provided the IRS Collection operation with a mandate to improve service for taxpayers, and reduce its reliance on liens, levies, and seizures to collect tax debts. Conversely, RRA 98 also addressed reported abuses by the IRS pertaining to the use of its formidable collection enforcement tools, specifically liens, levies, and seizures. The IRS differs from other creditors because it possesses the ability to undertake significant collection actions without the necessity of going to court and seeking a judgment. In the development of RRA 98, Congress expressed the belief that “the imposition of liens, levies, and seizures may impose significant hardships for taxpayers.” (3) Consequently, RRA 98 contained a number of new provisions designed to limit the use of these tools in certain situations, as well as new review and approval requirements for liens and levies. RRA 98 also created new avenues for taxpayers to appeal IRS enforcement actions, most notably through Collection Due Process (CDP) hearings. IRS data reveal a very weak correlation between the raw numbers of collection enforcement actions and the collection of delinquent tax dollars. Unfortunately, the IRS’s preoccupation with the volumes of lien and levy actions hampered efforts to identify the collection treatments that successfully delivered this revenue with the aid of improved taxpayer service, e.g., timely personal contacts and more flexibility in the use of payment options such as installment agreements and offers in compromise. As illustrated in the chart below, revenue collected through installment agreements and collection notices was the primary driver for the increase in Total Collection Yield, with increased collections through refund offsets also making some contributions. Notably, collection through initial IRS collection notices is voluntary – albeit late – compliance (i.e., no lien or levy prompted the taxpayer’s payment), and collection by refund offsets is a fully automated approach that does not require IRS lien or levy authority. One might attribute the increase in Total Collection Yield to the overall increase in taxpayers. Between FY 2010 and FY 2014, the number of individual taxpayers increased by about 5%, while the number of business taxpayers remained stable. IRS data, however, disproves this assumption. As the chart below shows, the TDA dollars available for collection decreased slightly between FYs 2010 and 2014, from $174 billion to $173 billion. (13) At the same time, the number of liens issued decreased by about 50%, from almost 1.1 million to 536,000. Yet the percentage of dollars available for collection that were actually collected increased from 6.0% to 6.4%. The chart below shows even more dramatically the relationship between liens filed and available dollars collected. We see the same pattern with levies issued. Specifically, the number of levies declined by 45% from FY 2010 to FY 2014, while the percentage of available dollars collected decreased slightly. Now, there are many factors that influence Total Collection Yield. But these data certainly indicate that something other than the raw number of lien and levy issuances accounts for the relative stability of collection revenue over time. In my next blog, I’ll explore what that “something” might be. Senate Committee Report (S. Rep. No. 105-174) at 88 (1998). H.R. Conf. Rep. No. 105-599 at 287 (1998). Senate Committee Report (S. Rep. No. 105-174) at 78 (1998). GAO, Impact of Compliance and Collection Program Declines on Taxpayers, 12 (May 2002). IRS Data Book 1997 to 2001. In FY 1997, the IRS reported a total collection yield of $29,913,365, while also reporting the issuance of 3,659,000 levies and the filing of 544,000 liens. In FY 2000, levy issuances had dropped to 220,000 and lien filings totaled 288,000. However, total collection yield for FY 2000 was reported as $29,935,564 – slightly more than FY 1997. In FY 2001, after several years of reduced lien and levy activity, the IRS reported total collection yield of $32,186,839 – an eight% increase over FY 1997, even though the approximately 674,000 levies issued remained at only 18% of the FY 1997 level. This blog features the “total collection yield.” The IRS publishes the total collection yield from unpaid assessments in Table 16 of the IRS Data Book. It shows the dollars collected on previously unpaid assessed taxes plus assessed and accrued penalties and interest and includes dollars collected from delinquency notices, TDAs, installment agreements, deferred accounts and non-Master File accounts. Assessed tax may result from voluntarily filed returns, examination of taxpayers’ returns, or a combination of both. IRS, Collection Activity Reports, NO-5000-24, Levy and Seizure Report (FY 2010 to 2014). IRS, Collection Activity Reports, NO-5000-25, Liens Report (FY 2010 to 2014). The IRS defines Total Collection Yield for these years as, dollars collected through collection activity on previously unpaid assessed taxes plus assessed and accrued penalties and interest and includes dollars collected from delinquency notices, TDAs, installment agreements, deferred accounts and non-Master File accounts. Assessed tax may result from voluntarily filed returns, examination of taxpayers’ returns, or a combination of both. Total Collection Yield from FY 2010 through FY 2013 is from the IRS Data Book Table 16. The IRS provided the FY 2014 data in advance of the publication of the FY 2014 Data Book. Bureau of Labor Standards Consumer Price Index Inflation Calculator, available at:http://www.bls.gov/data/inflation_calculator.htm. We compute dollars available for collection as the TDA dollars in inventory at the end of the prior fiscal year plus the new TDAs received for collection during the current fiscal year, plus the dollars of accounts in installment agreement inventory for both ACS and revenue officers. However, the dollar amounts of delinquencies closed to installment agreements by ACS and revenue officers during the current fiscal year were removed to prevent double counting of these delinquency amounts. Our Tax Technicians will start working for you within minutes of engagement. Stop all Leins, Levies, Garnishment Orders or other IRS Collection Efforts right away. You are just a phone call away. At National Tax Credit Group, we strive to make sure your tax issues are handled with the utmost care, priority and aggressive nature to your advantage. With over 200 years of combined experience at our office, we are confident you will see positive and expedited results with our proven tax relief procedures. 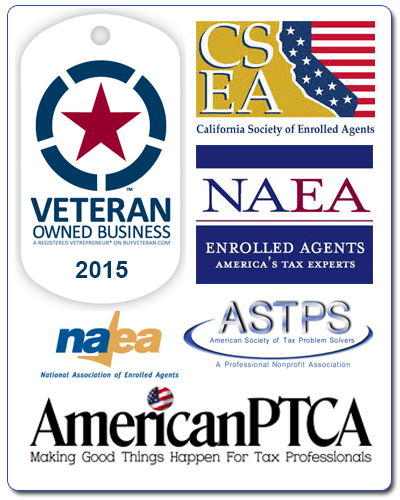 Copyright © 2015 National Tax Credit Group. All rights reserved.